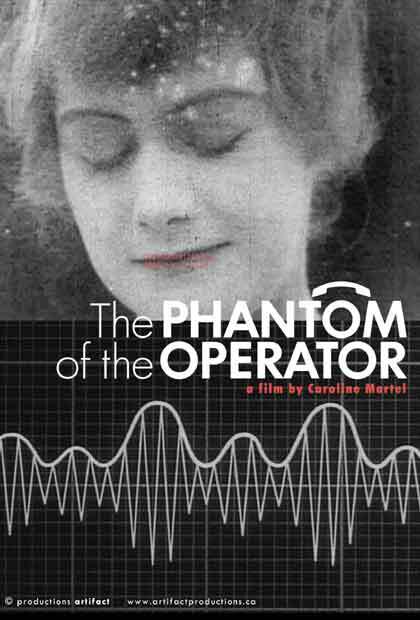 I first saw The Phantom of the Operator at a 2005 screening during the (now apparently defunkt?) Brooklyn Underground Film Festival. I was a volunteer promoter/usher, full of heady film festival love vibes. Question: How does one make friends and connections in a new city? Answer: Volunteer at film festivals. Do not sit in your room and eat sour patch kids. That does not work. Caroline Martel was present for a Q&A after the screening, and she graciously answered my questions and signed the poster I had stolen off of a wall in the Brooklyn Lyceum (a great place to hold any event, fyi). Her documentary on the roles of women behind emerging technologies of the 20th century was like a personal harbinger of my interest and involvement in the increasing democratization of the media. …Since that fateful day, every once in a while, I google Ms. Martel in the hopes that I discover another one of her beautiful creations is screening someplace close to me.